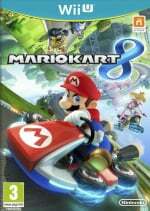 It's pretty clear that plenty of Wii U owners are now impatiently awaiting Mario Kart 8, while others may be tempted to dive in and buy a system for the latest entry in the iconic series. Nintendo's cranking up the hype, meanwhile, with public-access demos now confirmed to be on the way to more than 2,700 GameStop stores across the US. Nintendo of America has released a statement confirming these "Mario Kart 8 Test Drive Days" for 17th-18th May, playable from 12 to 4pm local time. Those that have pre-orders at GameStop or place them before 30th May will also receive an "exclusive double-sided poster". You can check your local store availability for these demo days at the official website, while there are also prizes and a #MarioKartMemories social media campaign to consider at mariokartmemories.com. Are you planning to hit up your local GameStop store on 17th or 18th May? Let us know. sounds great though.... i was hoping for something more than a poster considering what the other regions got. @ikki5 Me too, but something is something I guess. I'm going to wait to try out the game on the 30th, however. What have other regions got? As much I know, nothing. Nor the "test drive days" ! This is a good idea, but why limit it? Send review copies to all those stores so they can put them in demo units that are running full time. I'm soooo thankful I switched my preorder to BestBuy. I dont want a poster. Give me the blue shell!!! Only the Limited edition with Blueshell. No poster, no steelbook... nothing. Already pre-ordered it. Wonder if I'll get the poster anyway? @Peach64 - "This is a good idea, but why limit it? Send review copies to all those stores so they can put them in demo units that are running full time." Thought that was worth repeating, w/ an emphasis on FULL TIME. Maybe closer to launch? And of course the obligatory - when we can download it at home on eShop? Nintendo is doing a pretty good job w/ the eShop, but severely severely severely lacking in demos. The 3DS gets one almost every week so it's not a company wide moratorium by any means. Getting this day 1, picked up the $5 GC offer at Target awhile back, but we'll go check out GS on Sat. to see about picking up a poster. I have 5 w/in 3.6m, which is why they probably do need to close a few. My biggest problem right now is keeping it a secret from the kids so I can surprise them that Friday night, I'll probably tell them we'll pick it up Sat morning and then can each chip in $20 then gift it. Pre-ordered (with another vendor). But I may still show up. It is ironic that GS is doing this for a Nintendo product, considering how it often charges $2-$5 above MSRP (RRP) for first-party 3DS games. But you pay for this "plus". You got your posters at GameStop for free. I know only about two promotion for MK8 : Free game with registration and free Racing wheel at game. Nice, I'll be sure to pass by a gamestop this weekend and check it out. May shoot for that poster too. I hope something similar comes to the UK, both MK7 and MKWii had similar events pre-launch with GAME. I preordered months ago from GameStop. I will definitely be attending at least one of these days! w00t! I'm going to twist the poster and then tape the top part to the bottom part. Is it a poster??? Or the logo??? I was planning on getting the best buy gas pre-order. But I guess I'll get this, unless something better comes by. @Peach64 Because said copies would end up on eBay. But they are not free. MK8 itself costs 39.99 Ł.
Keyring and T-Shirt is + 10 Ł. They are not FREE like poster. Cool. Already preordered at GameStop so I'm already set to go for the poster. Plus the GameStop closest to me is participating in the event so that's great. Then again, it looks like basically every GameStop in the Omaha area is participating. Sweet, I'll definitely check GameStop out to play some Mario Kart 8 after I come back from Anime Central. Glad I've already pre-ordered. Can't wait for the week to be over now! EU gets a figurine, key chains, and bullet bill T-Shirt. 10 games to choose from compared to the 4 NA gets. Japan got some playing cards and the usual specials that Japan gets. NA gets... a poster and 4 games to choose from. Though they are not free, I would much rather pay a little extra for those than get a free poster. Ugh, why is Canada always left out in the cold? Neat. Glad I preordered from GameStop. I assume console bundle preorders get the poster, too... right? This is a miracle; my local GameStop is actually participating in this, and I have nothing important to do on those two days. I know how I'm spending my weekend now. There not coming to Hawaii again. Figures. Oh well. I can wait for release anyway. @ProudasaPeacock Canada gets the blue shell poster for pre-ordering. Nice, but have they actually been inside most Gamestops? You get 20 people inside and you start feeling really crowded in most of them. Hey guys can you clarify something for me? if i go to preorder the game today from gamestop, do i get the poster when i go to pick up the game on the 30th or do i have to go to the demo this weekend to get it? thanks. I checked it out. The poster looks really cool on the Mario side. Unfortunately it's being given out with pre-orders @ Gamestop. I personally can't stand Gamestop because they have treated me poorly in the past. I'll stick with my Target pre-order and the free $5 gift card. @ThistleAndWeeds yeah, well we never even got a chance to pre-order that. I am not even sure I will get the poster as they say Gamestop and not EB games which is what gamestop is here in Canada. Wait, so if it lists some gamestop locations, those are the ones having the event? I'm wondering since it's listing almost every local gamestop. I'll call later to see if they have it. Yes, it's in my hometown! And I think I know where I'm going to pre order now. I was referring to the lack of Mario Kart 8 demos. I'm not going because I want to discover everything myself and have as much time as I want with it instead of waiting in a line and playing a track or two before having to give the next person a turn! That's why I haven't watched any of the in-depth course videos! I didn't preorder yet, but the GameStop I usually go to is having a tournament on the 17th. The winner gets a trophy and the game at half price when it's released. With a little luck I could get top spot. I would like an eShop demo just to taste the game earlier. It is already obvious to me that I will get it, so the demo won't affect my decision. What about Canada? WHY CANADA DOESN'T GET ANYTHING?! UGH! I did too actually. If your'e a Gamer's Club Unlocked member at Best Buy, you get 20% off. Then, on top of that you get a $10 gas card with the game for pre ordering, which effectively takes the price down to $37.99. And best of all, you don't have to deal with GS employees twisting your arm to go Pro or make pre orders. Definitely worth more to me than a poster. I checked it out on their website, and it's not even a good looking poster. It's that same lame red Mario from the Nintendo World Store limited edition box art. All I want is my blue shell this is what NA is wasting their money on demo driving I'll play it in a week when it comes out. I don't want to play a demo I've seen enough videos I want my shell. !!!!!!!!! A Mario Kart Rubber KeyChain. I'll also be getting two of the GameStop Posters! @Lunapplebloom Yeah it really ticked me off last year when they didn't come to Hawaii for the E3 demos. Honestly, there's a Best Buy in Pearl City! And there are plenty of GameStop locations around the island and I honestly think there's one where I live. Kind of annoying that they leave Hawaii out but oh well. I'll probably be in town this weekend anyway so I guess I'll swing by GameStop on the way! I've been dying to try the new Mario Kart for ages! Yay, I already preordered! Will definitely attend this Test Drive since my local GameStop is having it! Can't wait to finally try this out! I've been waiting for so long to play it! So excited! Played it at the E3 presentation last year, so I have been craving more for a while now! !